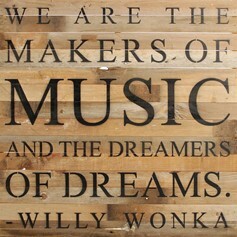 Make your space your own with this unique reclaimed wood wall art! This piece measures 28" x 28", and is made in the USA. 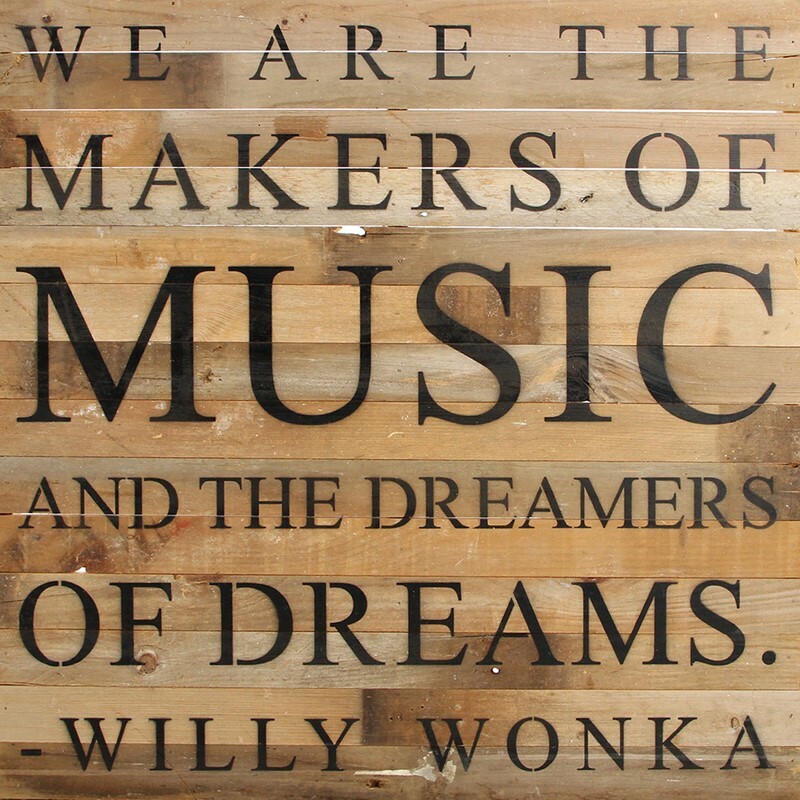 QUOTE: "We are the makers of music and the dreamers of dreams -Willy Wonka"
*Please note that this item is handmade, and the wood is subject to different striations and textures.